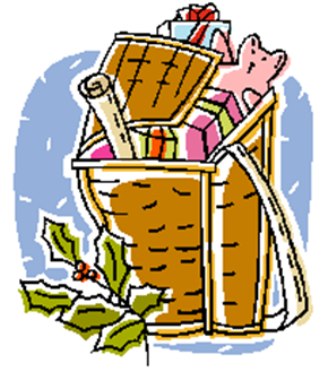 Picnic Gift Basket - Get a picnic basket and fill it with a red checkered tablecloth, cloth napkins, a bottle of wine or apple cider, and some fancy gourmet crackers and cookies. Make an even bigger statement by taking mom to the park for a picnic lunch. Coffee Gift Basket - Fill a basket with several of mom's favorite gourmet coffees and creamers, a #1 Mom mug, personalized coasters, and a fancy coffee scoop. Fragrant Gift Basket - Use a white wicker basket and line the bottom with some soft, puffy body sponges. Arrange a collection of discount fragrances, soaps, gels, powders with a few of her favorite flowers tucked in around them. Baker's Gift Basket - Fill with specialty bread and cake mixes, measuring cups and spoons, and a ruffled apron with matching oven mitts. 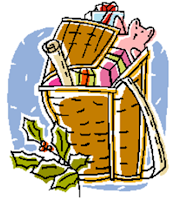 Budget Gift Basket - If money is tight this year, have everyone write mom a personal note on some pretty paper, telling her how much they love and appreciate her, gather all the letters together into a basket and tie a pretty fabric bow on top. Do you have any other theme basket ideas? What is the best Mother's Day gift you ever gave? What is the best Mother's Day gift you ever received?